Trusting our 60+ years of combined experience, you can be confident that the Walden brothers can repair any residential or commercial electrical problem you may encounter. As licensed electricians, they understand the latest electrical code requirements and will always complete your job safely and with the proper materials and procedures. As a longtime company in the Austin area, Benchmark is your best choice for routine maintenance as well. Experienced and proven, the Waldens will reliably service and maintain your local residential or commercial facility. 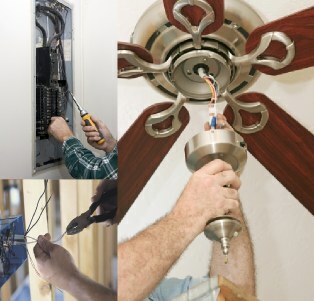 Their expertise frees you to run your business or enjoy your home as you confidently trust Austin's proven team to safely and correctly repair and maintain all your electrical systems at a fair price. We are mindful of your home or workplace and work safely, neatly, and quickly to minimize disruptions as we serve you. Give us a call or contact us online today! We're ready to help.